I'm very excited about it... I've made collection money at Steemit to "bowls for dogs". Because it's summer now. 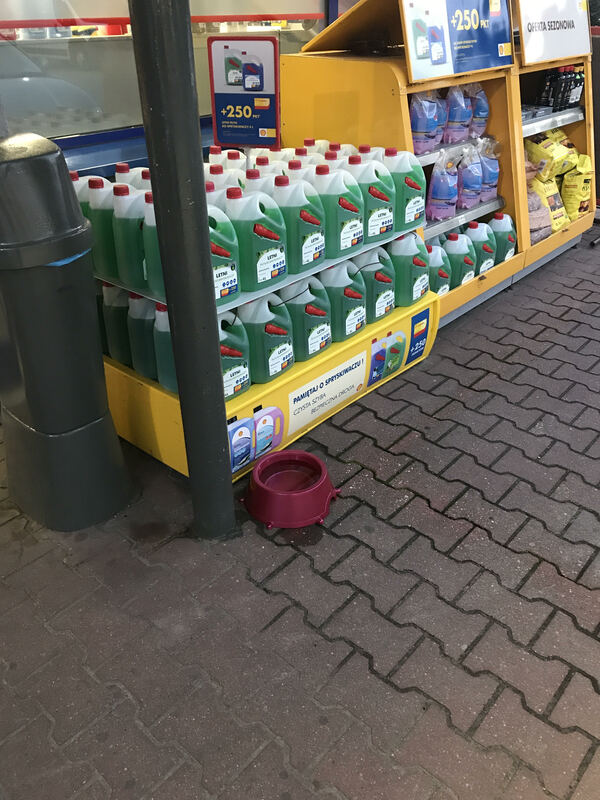 In front of petrol station and shops people leave their pets outside at sun.. Temperature outside is about 35C.. It's too hot for pet without water. I've withdraw money from Steemit and I bought 8 bowls. When it arrived at home I take it and I went it to give away. Results? 100000 smiles in faces from employees. That's amazing.